In this municipality, unprecedented mudslides killed almost 1,000 people the previous year. This cast serious doubts on how well prepared Brazilian and Latin American authorities and citizens are to face imminent climate risks. According to NASA, 2011 was the ninth warmest year in 132 years of record keeping (Rio de Janeiro faced stronger storms that year), and the second wettest year on record over land. In comparison to high-risk countries such as Mexico and Chile where disaster-related policy is quite advanced, Brazil’s low disaster incidence has resulted in alarmingly outdated and disconnected disaster prevention and relief efforts, particularly among local, state and federal authorities. One of the highlights of the Action Lab was a day-long site visit to the city of Nova Friburgo, one of the most affected during the 2011 mudslides, which shocked and moved participants as a policy discussion was combined with the stories of survivors. It showed not only how environmental degradation was a key driver of risk (deforestation was one of the causes that stimulated water and mud runoff), but also how actors’ lack of coordination increased risk locally as well. More than a year after the tragedy many families are still living in high-risk zones, partly because authorities are still not coordinated enough to achieve successful relocation. Although it is clear that local citizens now associate extreme weather events with risk, it is not yet clear if this is a conjuncture, or if there is true understanding of the underlying forces that generated the disaster in the first place. Achieving this will be the Rio Civil Defense’s main challenge, in addition to trying to reposition itself as a well-coordinated institution, before even more rainy seasons hit the region. Rio de Janeiro’s Civil Defense authorities participated centrally in the Action Lab; as a result, its directors came to regard the Action Lab methodology developed by Earth Security and Sinal do Vale as an effective way to engage with civil society and other stakeholders in improving policies and practices. The methodology provides a platform for energetic discussion and collaboration, and goes far beyond a conventional conference format. Participants said the format was helpful in mobilising resources and identifying effective solutions to reduce disaster risk. Participants even requested special training in the Lab’s methodology. Thus, a collaboration is being explored between Sinal do Vale and Rio’s Civil Defense Agency to help policy-makers adopt the Action Lab methodology to improve the bridge between policy and practice, government and communities in the State of Rio de Janeiro. According to Bernadete Castilho from Petrobras, one of the Action Lab participants, prior to the disaster, Rio de Janeiro’s citizens had “lost awareness of their relationship with the environment in which they live in, which in 2011 translated into a failure to associate unusual rainfall with potential floods and mudslides”. 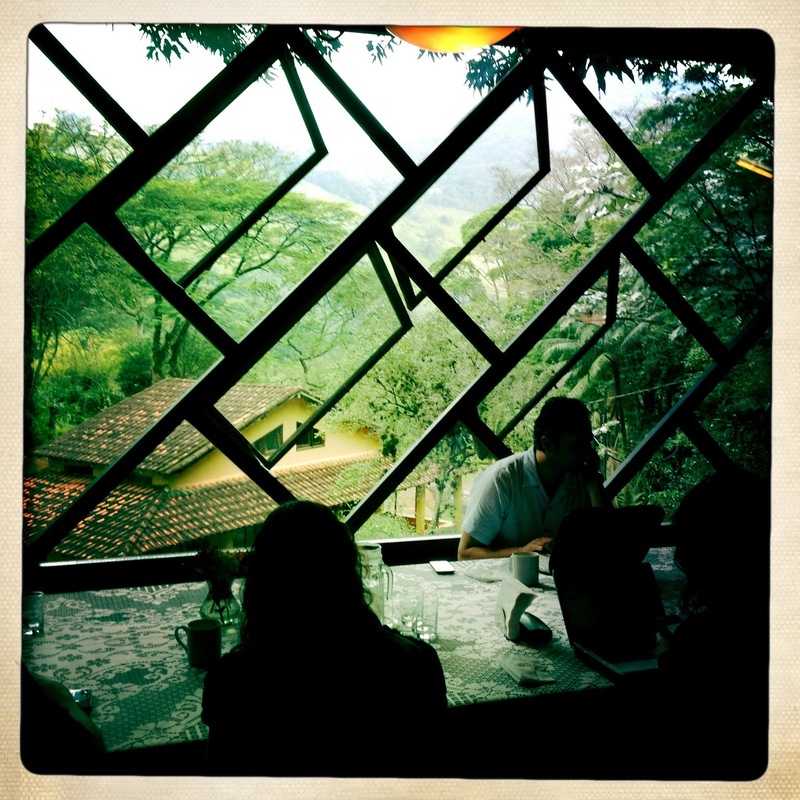 Thus, the ways in which the Action Lab reconnected policy, institutions and people with each other in the beautiful natural setting of Sinal do Vale was for participants one of the distinctive elements of the project. A collaboration among Rio’s Civil Defense Agency, Petrobras and Sinal do Vale to map disaster risk management initiatives emerging from civil society, private and public sectors in the mountainous region of Rio de Janeiro. The map will aim at improving risk awareness among the general population. Following production of the map, stakeholders will be invited to participate in an Action Lab in order to identify synergies and enhance the impact of their actions. 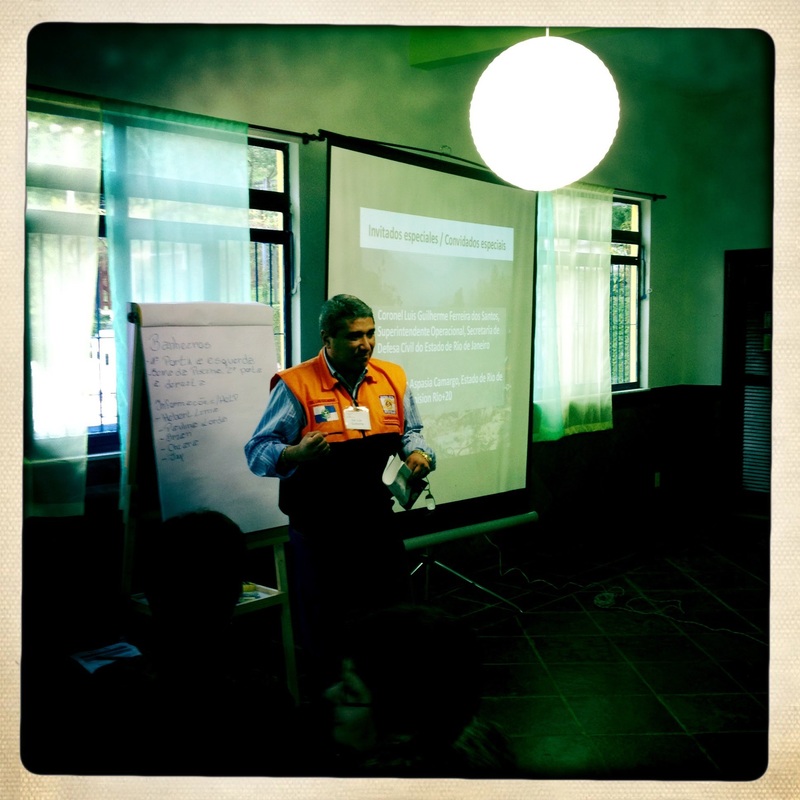 A collaboration of Chilean and Mexican disaster risk experts with local Rio grassroots groups. An alliance was envisioned to share knowledge to improve authorities’ coordination in the face of an urban disaster. They are also interested in replicating this particular Action Lab methodology in Chile and Mexico as a means to improve policy-society links. A Brazil-wide initiative to promote social enterprises that improve the regeneration of forests in areas of high risk, building on eco-friendly agriculture methods, to decrease the chance of runoff during strong storms while providing local communities with an income. The interest in a collaboration among participants from Mexico, Brazil, Ecuador and Peru to include private sector investment in the conservation of urban forest belts as an essential mechanism for disaster risk reduction. Such forest belts provide critical ‘natural’ infrastructure such as water provision, as well as energy.